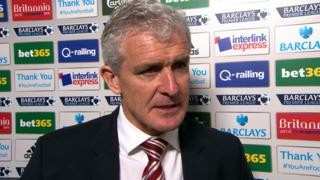 Stoke boss Mark Hughes is delighted by his side's "excellent" performance after they thrash Fulham 4-1 at the Britannia Stadium. 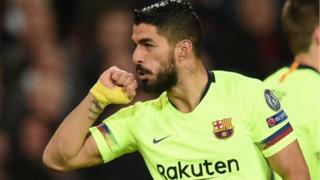 The hosts led through goals from Peter Odewingie, Marko Arnautovic and Oussama Assaidi, but Fulham hit back through Kieran Richardson before Jon Walters added a fourth. The result sees Fulham relegated from the Premier League, while Stoke now have 47 points, which equals their highest points tally in the Premier League.